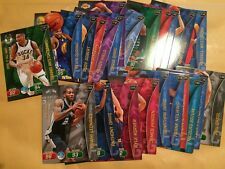 Hobby (single) pack of NBA 2018-19 Hoops Trading Cards Basketball - 8 Card Unopened Pack. Dispatched with Royal Mail 1st Class. No.23 Luka Doncic - Dallas Mavericks - BGS 9 MINT. 2018-19 Panini Prizm Basketball - Silver - Freshman Phenoms. FOR THOSE OF YOU WHO BUY TO GRADE, WE ARE NOT EXPERTS BUT IF YOU ASK WE WILL GIVE YOU OUR BEST OPINION IF WE WOULD SPEND THE £ FOR THE SERVICES. No.280 Luka Doncic - Dallas Mavericks - RC - BGS 9 MINT. 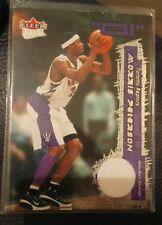 2018-19 Panini Prizm Basketball - Silver - Rookie Card. This is the silver base card not the silver prizm as previously stated. FOR THOSE OF YOU WHO BUY TO GRADE, WE ARE NOT EXPERTS BUT IF YOU ASK WE WILL GIVE YOU OUR BEST OPINION IF WE WOULD SPEND THE £ FOR THE SERVICES. 2017-18 PANINI ENCASEDJORDAN BELL ROOKIE . Dispatched with Royal Mail 2nd Class Letter. 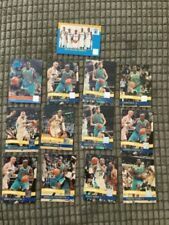 2018-19 Panini Prizm Basketball - Green - Rookie Card. FOR THOSE OF YOU WHO BUY TO GRADE, WE ARE NOT EXPERTS BUT IF YOU ASK WE WILL GIVE YOU OUR BEST OPINION IF WE WOULD SPEND THE £ FOR THE SERVICES. THIS CARD IS FROM 2017-18 PANINI NATIONAL TREASURES CENTURY MATERIALS. 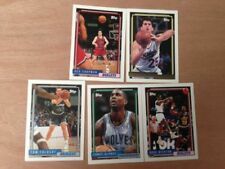 3 Signed NBA cards Paul Milsap Significance, Kenneth Faried Panini Quest, and Kyle Lowry Upper deck Trilo3y Generations . Dispatched with Royal Mail 1st Class. Good chance to grab three auto cards in one go. THIS CARD IS FROM 2012-13 TOTALLY CERTIFIED BLUE MATERIALS. 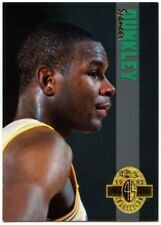 CARD IS SERIAL NUMBERED 05 / 99. 2018-19 Panini Donruss Optic AL HORFORD Boston Celtics GOLD PRIZM 10/10 ! GARY TRENT Jr NBA 2018-19 CERTIFIED ROOKIE ROLL CALL AUTOGRAPHS (TRAIL BLAZERS). Dispatched with Royal Mail 2nd Class Letter. Damian Lillard 2018-19 Panini Court Kings Brush Strokes Auto 06/25. THIS CARD IS FROM 2018-19 CROWN ROYALE JERSEYS. CARD REFERENCE NUMBER IS J-SA. THIS CARD IS FROM 2017-18 PANINI STATUS ELITE SIGNATURES.